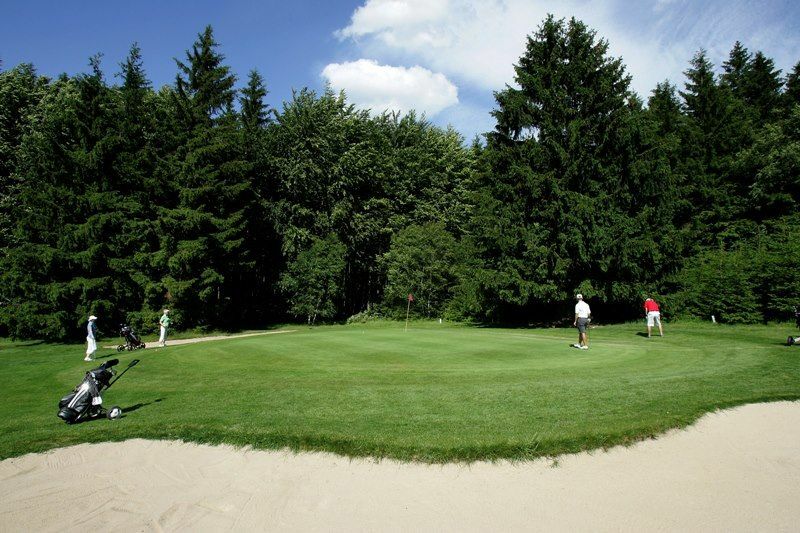 The Kořenec golf course is in a wonderful area of unspoilt countryside, outstanding for the suitably varied relief of its terrain. It is a location which provides an unrivalled view of picturesque Bohemian-Moravian Uplands scenery in clean air and immaculate countryside with no industrial pollution. 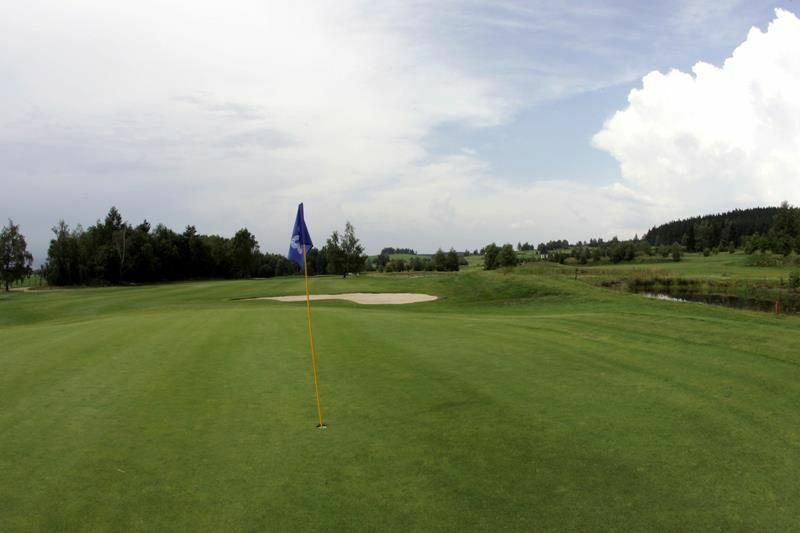 The Socrates Golf & Country Club was established in January 1998 and registered with the Czech Golf Federation and the European Golf Association. It is now a complete standardized 18-hole course with a practice range, a putting and chipping green, practice bunkers and a club house. The championship 18-hole course with a total area of approx. 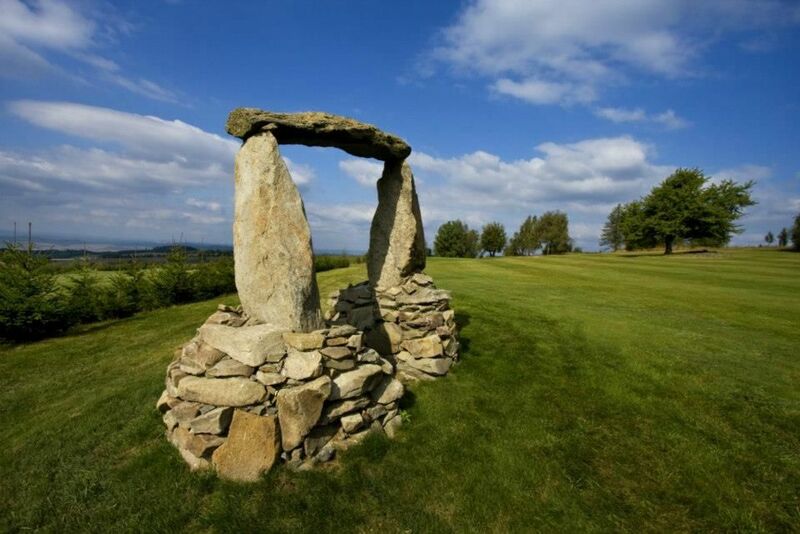 60 hectares is sensitively set in the pasture meadows and parkland of the Drahan Highlands. Like every golf club and golf course, ours is out in the country, but country which in contrast to some is not impaired by human factors. The location, the climatic conditions and the broken topography require a wide range of golf strokes from players with normal physical fitness. Visitors are enticed by this exceptional location in untouched countryside with panoramic views of the landscape, an oasis of tranquility with exceptionally clean air, for Blanensko is well-known as an area of natural beauty for rambling, with a dense network of cycle tracks, hiking footpaths, the Moravian Karst, historical and cultural heritage sites nearby and not least they are enticed by the friendly atmosphere which always greets you, whether you are a beginner, a club member, or a chance visitor seeking relaxation. 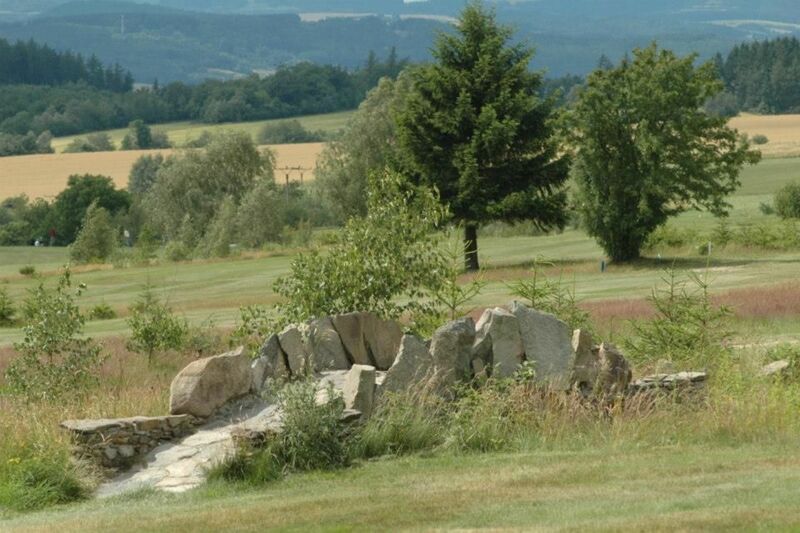 In Czech Republic, in the Boskovice and Brno area of the Southern Moravia region, in the very heart of the Řehořkovo Kořenecko National Park not far from Paprč, one of the highest points in the Drahan Highlands, a golf course based on a design by Ing. Libor Jirásek, Golfer spol. s r. o. and Academy sculptor Miloslav Buřival has been laid out. 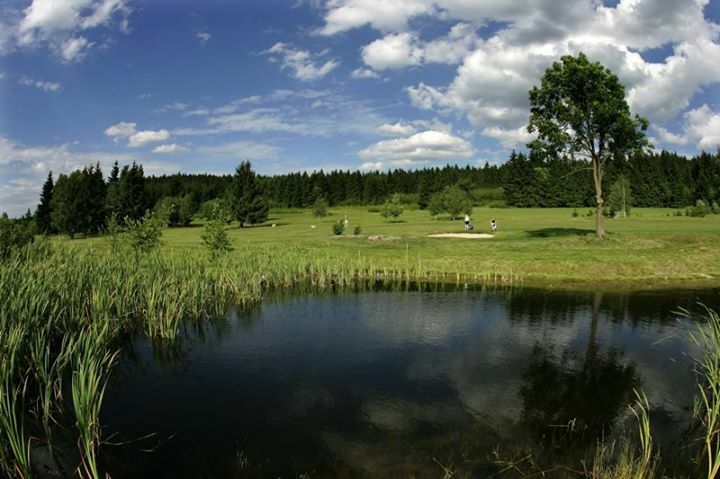 It lies on the edge of the Kořenec municipal area, 10 km from Boskovice, 25 km from Blansko, less than an hour’s drive from Brno in the direction of Svitavy (47 km), about 25 minutes’ drive from Prostějov and a little further from Olomouc. Kořenec - HŘIŠTĚ 18 JAMEK is not yet in our pool of Golf Courses for orders.